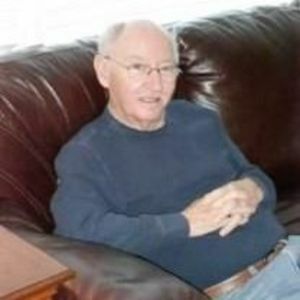 David Earl Mosley, 77, of Rocky Mount went to be with his Lord and Saviour Sunday, December 10, 2017. Funeral services will be conducted 11:00 a.m. Thursday, December 14, 2017, at Thomas-Yelverton Funeral Home, 2704 Nash St. N, Wilson, NC. Interment will follow in Rocky Mount Memorial Park, Rocky Mount, NC. The Rev. Cliff Harwood will officiate. The family will receive friends 10:00 – 10:45 a.m. Thursday, prior to the service, at Thomas-Yelverton Funeral Home. David was a career veteran of the United States Army, having served for 23 years. A loving husband, father, and grandfather, he was a very honorable man, always willing to lend a hand to anyone in need. David was dearly loved and will be greatly missed by his family and friends. Surviving are his daughter, Kelly Bell (Brian); sisters, Ann Banks and Alice Daughtridge (James); step-children, Kim Jernigan (Chris) and Butch Moss; step-grandchildren, Christian, Daniel, Hanna, Brian, Sara and Cameron; step-great-grandchildren, Kingsley, Kohley, Harper, Weston, Rilynne and Lawson; nieces and nephews, Tony and Kimberly Banks, Scott Daughtridge (Donna) and Fran and Terry Mosley. He was preceded in death by his wife of 28 years, Jeanette Mosley; parents, Barry David and Annie Crusenberry Mosley; one brother, Thomas Mosley; and a step-daughter, Lou Lynne Griffin. Services are under the direction of Thomas-Yelverton Funeral Home, Wilson, NC. Online condolences may be sent to www.thomasyelverton.com.